One of the noticeable expenses for a wedding can be the flowers. This is a guide about saving money on wedding flowers. Save lots of money when it comes to flowers for your wedding. Visit your local markets and use in season flowers to create wonderful wedding bouquets with out the hassle of over priced florists. Most roses are always in season. Use 12-24, gather in a bundle, and tie them off with a festive bow. Use pearl headed push pins to secure ribbon to the stems. A dozen roses at the market run about $13.99. This can save you around $50-60 per bouquet. Happy wedding! 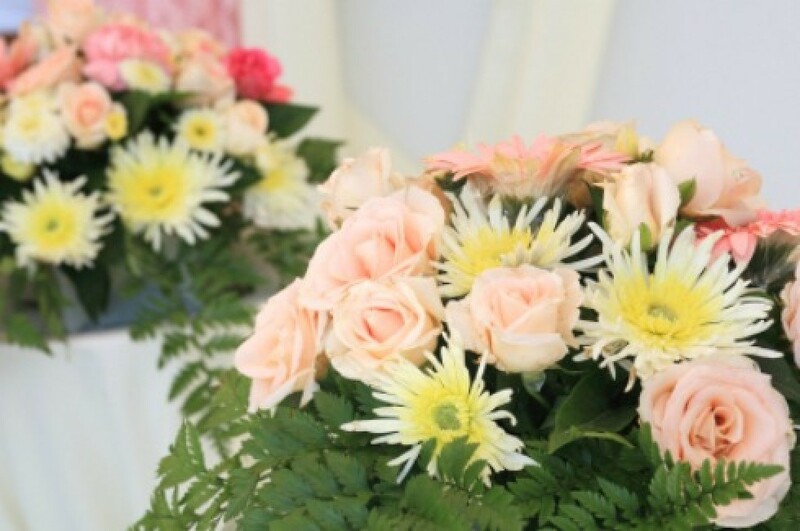 Flowers can be a pretty costly item on the list of necessities for your wedding. There are many ways to cut the costs and still keep everything looking beautiful, from the bridal flower bouquets to the reception setting decorations. Choose flowers that are in-season. If you pick blooms that are growing a plenty due to the month you marry, you will save quite a bit of money. Flowers like lilies, chrysanthemums, carnations, freesia, and daisies are year-round flowers that come at a lower cost. The bigger the better. Choose large flowers that will take up more space, like hydrangeas and Calla lilies. 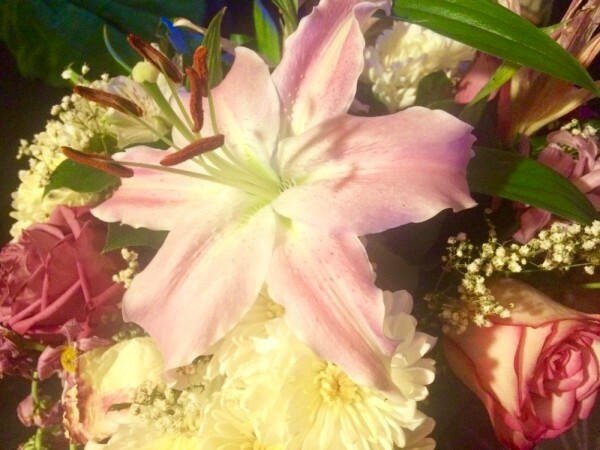 One head of a large flower not only makes a gorgeous and memorable statement, but it will also cost less than having a bunch of smaller flowers gathered together. Reuse ceremony bouquets at the reception. After the wedding ceremony, place the bridal and wedding party bouquets at the reception area. 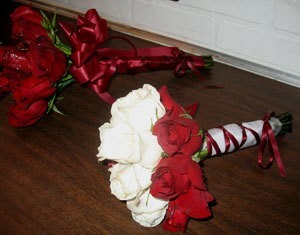 Use the bridal bouquet as a centerpiece, and place the bridesmaids' flowers around the tables. DIY with wholesale flowers and homegrown flowers. I am a huge fan of DIY. Even when not done perfectly, I find so much charm in people making things themselves. You can use wholesale flowers in jars with ribbon wrapped around the rim as centerpieces. Use flowers from your garden to bring your own life to the party. Use plants. Potted plants and herb centerpieces are not only beautiful, but very cost-effective. Succulents are very popular and they make adorable arrangements that are easy on the budget. Plant pieces are also great to add inside of flower bouquets to help contrast the colours and work as a space filler. Non-floral additions. Spruce up the area around the flowers with items that complement them well, and also tell your story as a couple. Some ideas are photos, lanterns, candles, keepsakes, wineglasses filled with votives, seashells, faux pearl necklace strands, large stones, and large arrangements of fruits and vegetables. These are all sidekicks for your flowers that will fill up space and enhance their beauty. Remember that lighting is a huge visual aid for all your arrangements! Artificial flowers. My husband and I got married in Nevada on a very hot day. I knew the weather would have a huge effect on many aspects of our day, including the flowers. I kept my own bouquet and my husband's boutonniere in fresh-flower and matching form, but I put together the wedding party's bouquets and boutonnieres myself a couple weeks prior to the wedding. It was just too hot and I was afraid of everything wilting. The arrangements looked fantastic, and they held up all day. They were a nice take-home gift for the party, too. If you don't want to go all-artificial, they do make for great filler, too. Skip floral centerpieces for reception tables altogether. Flowers in the middle of the tables are not even a necessity. 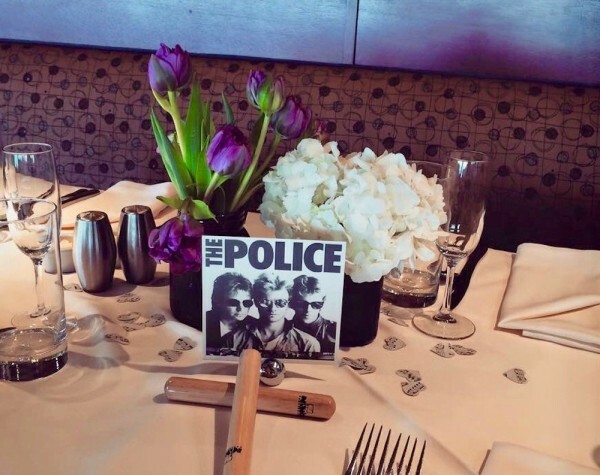 I have been to plenty of weddings where the centerpieces were filled with fun games, Polaroid cameras, candles, and wine bottles.